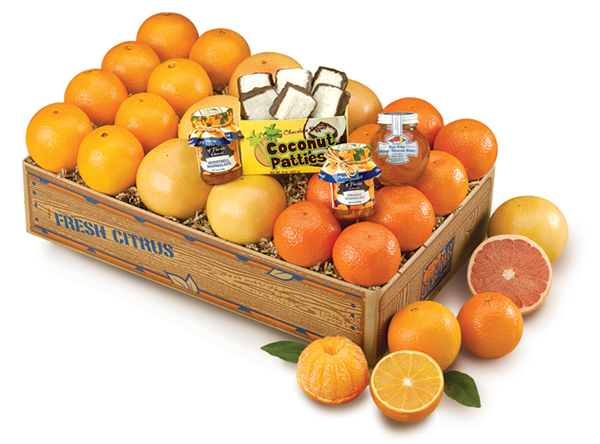 No matter the season, three of the very best flavors of Florida citrus will arrive at one time, all in one value-priced gift! And now we’ve added our special selection of deluxe gifts, a jar each of Honeybell and Orange Marmalade, a jar of 100% Orange Blossom Honey and a box of creamy Coconut Patties to your Bonus Box. An exceptional gift at an extraordinary price!